State Representative Brenda Kupchick was re-elected to her fifth term representing the people of the 132nd District in Fairfield and Southport on November 2018. Brenda serves on the legislature’s committees on the Transportation, Finance, Revenue and Bonding and the Housing committee. Brenda is also a member of the Intellectual & Developmental Disabilities Legislative Caucus, the Bipartisan Fire and EMS Caucus, School Safety Working Group and is Co Chair of the Animal Welfare Caucus. Brenda was re-appointed to be a House Republican Whip by House Leader Themis Klarides joining her leadership team. Brenda and her husband, Peter have owned and operated Peter Kupchick Heating & Cooling, Inc. for nearly 30 years and established a Business Advisory Council in Fairfield that meets regularly with the business community to work toward improving the business climate in Connecticut. Brenda served as Constituent Services Representative for U.S. Congressman Christopher Shays (2002-2009) and in Constituent Services and Public Affairs, for State Senator John McKinney (2009-2011). 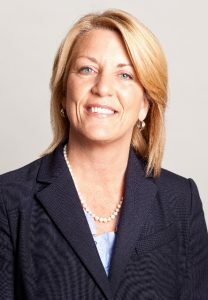 Prior to her election as state representative she served as an elected member of the Fairfield Representative Town Meeting from 1999-2003, serving as the Public Health and Safety Chairman. Brenda also was a member of Fairfield Board of Education from 2003-2009, and on the Fairfield Parks & Recreation Commission from 2004-2009. Rep. Kupchick was the founder of “One Voice” an education advocacy group. She is a past long time member of the PTA, Pop Warner, and Gridiron Clubs. Brenda is a long-time volunteer for animal rescue groups and shelters. Brenda is a volunteer for Operation Hope, a Fairfield based non-profit that assists the homeless and those in need and is an active supporter of the Center of Family Justice. A lifelong Fairfield resident, graduate of the Fairfield public schools and attended Fairfield University and Norwalk Community College, Rep. Kupchick and her husband Peter have one adult son Peter Christopher and Daughter in law Juliana Kupchick. Brenda & Peter also have two rescue Beagles, Maggie & Wally.